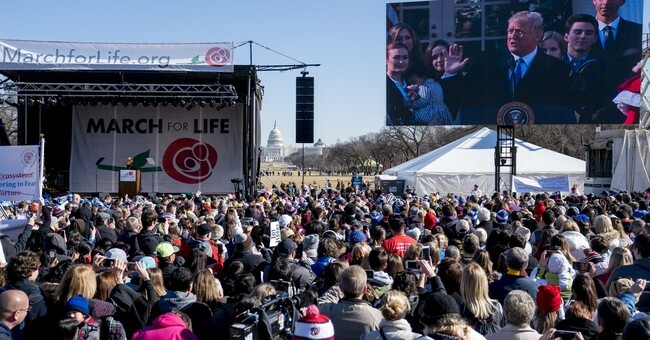 For the past eleven years a poll has been conducted in conjunction with the March for Life; an annual pulse-taking of the nation. This year, the Knights of Columbus/ Marist Polling survey found that 75 percent of Americans say that abortion should be limited to the first 3 months of pregnancy. More shocking is the fact that this includes 60 percent of Democrats who responded to the survey. Also, 61 percent of people who identify as pro-choice are in favor of abortion restrictions.